Is there anyone who still hasn’t heard about the benefits of essential oils? Here is one of the simpler and more colorful ways to introduce them into your home. 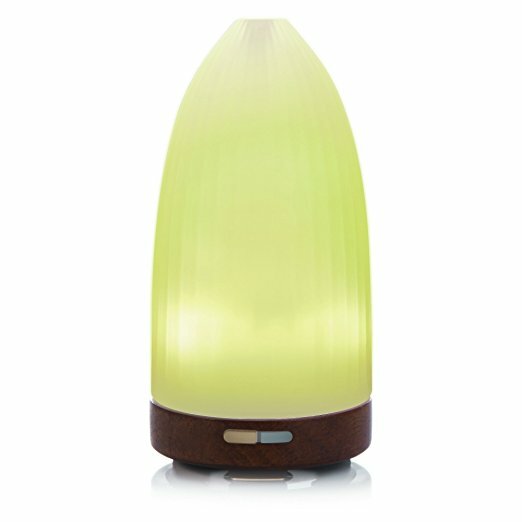 It’s the Ultrasonic Aromatherapy Essential Oil Diffuser, and it only costs $20. This is a great gift, but of course you’ll want one for yourself, too, as it diffuses all of your favorite essential oils with its continuous and intermittent modes, allowing the fragrance to last up to 8 hours. Refresh, purify, and moisturize the indoor air for easier breathing, remove objectionable odors and reduce the level of irritants that induce coughs and colds. Seven lights allow for color changes to set the mood as it sits on the real wood base, plus it’s super quiet and energy efficient for all-day operation.